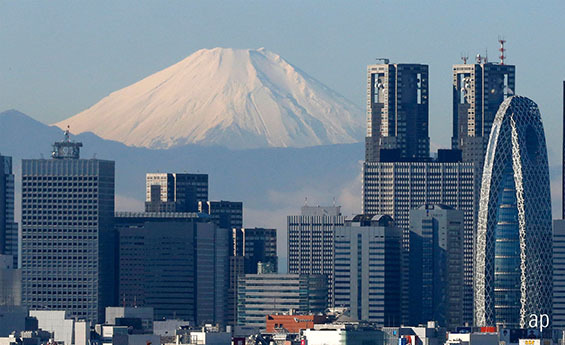 JPMorgan Japanese Investment Trust (JFJ) has geared up to take advantage of a full list of good bottom-up stock ideas and an encouraging macro outlook for Japan, according to manager Nicholas Weindling. A combination of decent global growth, a Japanese economy that is doing well, stable monetary policy and low valuations make the base case for continued investment in the country. But the key area is a story of improving corporate governance, which is “driving it all in the long term”. “That’s a pretty attractive combination of factors and it’s one reason why we’re at the maximum level of gearing in the trust right now,” Weindling tells Morningstar.co.uk. The level of gearing now sits at just over 16%. The country has challenging demographics, but there are plenty of other reasons to be bullish. The Government continues to be stable and popular, with no real opposition, and the tourism industry continues to thrive, with a threefold increase in visitor numbers since 2012. But the biggest improvement seen in recent years has been the continued alignment of companies’ interests with those of shareholders. This has led thus far to record dividend payouts, record share buybacks and much more focus on return on equity. Consequently, the Japanese market now yields more than the US market. Despite that, there’s still a long way to go until the governance culture is up to scratch. And that’s exciting for Weindling. “Corporate governance is getting better here, but we certainly wouldn’t claim that it’s good,” he adds. While demographics are tough – it’s a big reason why the employment market is so tight – Weindling thinks the ageing population is a very powerful theme for stock picking. There are different way of doing this, including tapping into an increased need for healthcare services through the likes of Asahi Intecc (7747), which is the global leader in making wires used in non-invasive heart surgery. A different tack is through Nihon M&A Center (2127), which advises companies with no successor what to do about that particular problem. “They do about 1,000 deals per year, but there are 600,000 small and mid sized companies where there are no children to take over the business, so they have a very good duration in terms of how it’s going to play out,” says Weindling. Elsewhere, he likes consumer goods companies like cosmetics maker Shiseido (4911), because products made in Japan are seen as high quality, reliable and safe throughout the rest of Asia. Start Today (3092), which owns Zozo, Japan’s version of ASOS, should also benefit from a similar increase in popularity for buying clothes online. Only 7% of apparel sold in Japan is currently bought online, compared to 25% in the UK. Unlike many of his competitors, Weindling and his team of 25 fund managers and analysts are all based on the ground in Tokyo. This is something he believes will continue to give the trust a competitive advantage. He notes that the Japanese market, despite being the third largest in the world, is poorly covered. More than half the companies listed in Japan have one or less sellside analysts covering them. In the US, for example, that number is just 5%. That already makes it “a great market for active managers”. But Weindlilng thinks the number of analysts in Japan is likely to diminish further due to Mifid II changes. He expects many of the big global banks to “look again at their Japanese research capabilities”. Since Weindling took over control of the trust in November 2007, it has returned almost 200% for investors. This means it has comfortably outperformed both the TOPIX and the MSCI Japan Index. Over the past three years, it’s up 64%, compared with 13% and 25% for the TOPIX and MSCI Japan respectively. Despite this, it currently trades on a discount of 10.39%, which is slightly wider than its 12-month average, but narrower than the 10-year average. What Next for Japan's Economy?